Dolphins are mammals that can be found in oceans and freshwater habitats all around the world. They prefer warm water, but will live in colder environments if more food is available there. They live mostly in shallow waters but will travel deeper into the ocean for food. 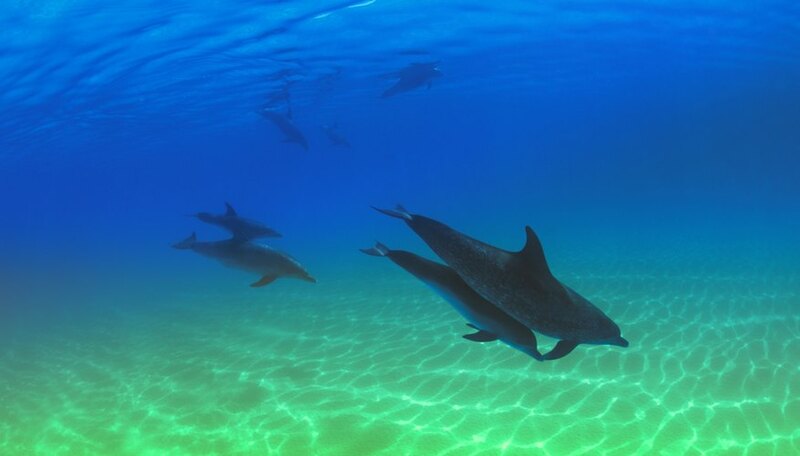 Dolphins are very intelligent, gentle animals that communicate with each other using whistles, clicks and other sounds. Making a habitat diorama can help children understand the characteristics of a dolphin's environment. It may even spark an interest in marine biology or wildlife conservation. Cut off or remove the top of your shoe box. Use an adult-sized shoe box or a bigger packing box. Set the box on its side so you can see inside. Your box will now have five inner sides including the bottom, top, back, and left and right panels. Glue or tape blue construction paper to the back, left and right panels to represent water. Use brown paper for the ocean floor to look like the sand. You can use light blue construction paper for the top of the box to represent the sky. Cut out white cloud shapes and glue them to the top as well. 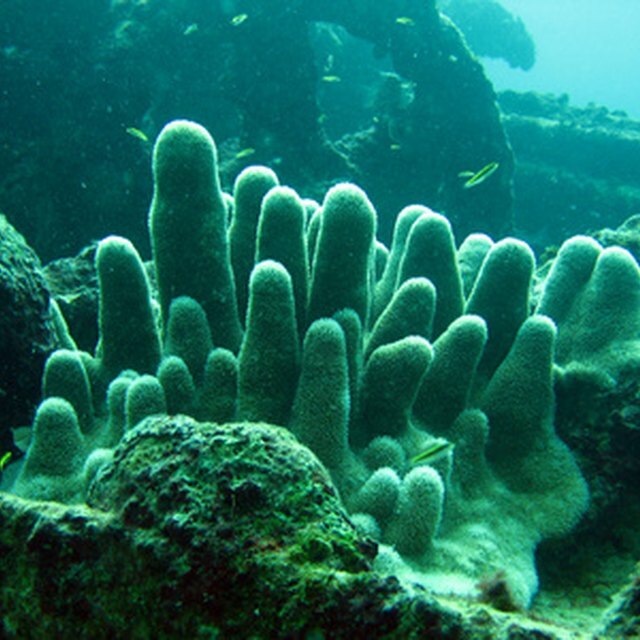 Decorate the ocean floor. Cut out green construction paper and use green pipe cleaners to portray seaweed. Use brown and black play dough to make rocks. Cut out orange, red and pink construction paper or use pipe cleaners to make coral. Tape or glue everything to the bottom of your box. Hang ocean animal toys from the top of the box using string. Poke holes in the top of the box and thread the string through the holes. Tie a knot in the thread and tape it down so the toys don’t fall. Draw dolphins and other ocean animals on construction paper with markers or crayons. Cut them out and poke a hole through them, then use the string to attach them to the top of the box. Make dots of glue with blue and green glitter sprinkled on top throughout your box to look like water. Glue cardboard or poster board on the back of your paper animals to make them less flimsy. If available, use real seashells on the ocean floor for decoration. Adult supervision is necessary when younger children use scissors. An adult can poke holes in the top of the box for younger children to hang toy animals. Wall, Nigel. "How to Make a Dolphin Habitat in a Shoe Box for School." Sciencing, https://sciencing.com/make-dolphin-habitat-shoe-box-school-12053857.html. 25 April 2017.